I’m always a little bit leery when I use my credit card online. Even if I’m using it at sites I trust, I still have a question flickering at the back of my mine about how secure my information is. Last year, I noticed a bunch of charges on my credit card that I know I did not make. I’m not registered at any dating sites nor do I play Xbox! I’m thinking someone snagged my card info when I paid for one of John’s online gaming sites. Unfortunately for John, I refuse to let him use my credit card to pay for any more games. I even had a similar issue with paying for a game with my Paypal. The game took out six payments instead of one! I had it rectified, but I’m very distrustful now and told him he is on his own. I’ve asked John to check out 3V Visa Prepaid Vouchers. They are a secure way to pay online that is safer than using a credit or debit card. 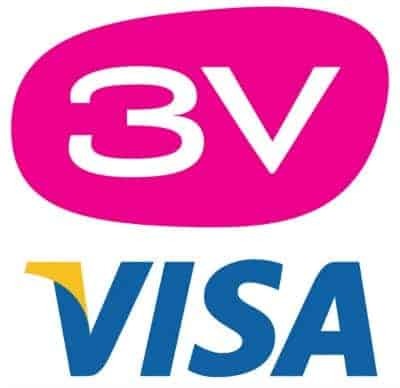 You can use your 3V Visa number anywhere online, by mail order or over the phone at anywhere Visa is accepted. It works the same as a Visa and you just input the card number and other details the same way you normally would. 3V Visa Canada also is part of the Verified by Visa program so you have an added layer of security there too. 3V Visa prepaid vouchers are perfect for anyone who doesn’t have a credit card or is leery of using their credit card online. You don’t need any kind of references and there’s no credit checks, long forms or even interest charges. There is a small fee when you initially purchase it, but you’ll never receive a bill in the mail since it’s prepaid. The only requirements are you must be at least 16 years old and have an email address. Even my 16 year old daughter could buy one! You can purchase 3V Visa prepaid vouchers in denominations up to $500 at 15,000 participating retailers across Canada including Esso and Canadian Tire gas stations. You can also purchase them online at Use My Card. After you’ve purchased, go online and redeem the 3V Visa activation code and you’ll receive your secure 3V Visa number, expiry date and CVV. I like being able to login anytime to my 3V account and check the balance available on my prepaid vouchers. It also gives you the option to transfer money from one voucher to another. I used my 3V Visa prepaid voucher to buy a movie on Amazon.ca. I had a small amount leftover on it so I purchased an Amazon.ca gift code with the remainder of the money. It’s the exact same as using my Visa! My daughter buys her clothes online so I’m thinking a 3V Visa Prepaid Voucher would be a good gift to get her for Christmas. It’s better than cash and she can use it at all her favourite online stores! Where will you use your 3V Visa Prepaid Voucher? I would use my 3V Visa Prepaid Voucher to order online, a Christmas Wreath to be delivered to my mother. I would definitely use it online. I am so happy now I can shop online as I couldn’t before because I don’t have a credit card! Probably at Chapters/Indigo to buy me a gift. I love online shopping & since most places take visa there are so many many places I could shop from. Would purchase some gifts for the holidays. The 3V Visa Prepaid Voucher sounds so convenient for online shopping … I think that is where I would use it if I won. Thanks for the giveaway! I would use it at the Source.